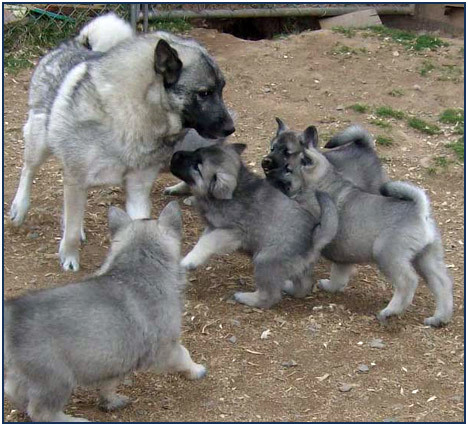 Here at Daggarwoods, we breed only when we are looking to keep something for ourselves, so litter's are limited and we do have a waiting list. 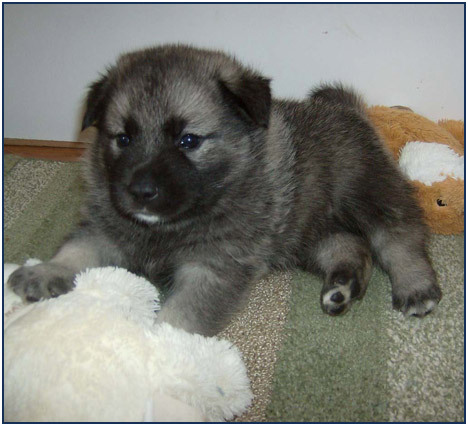 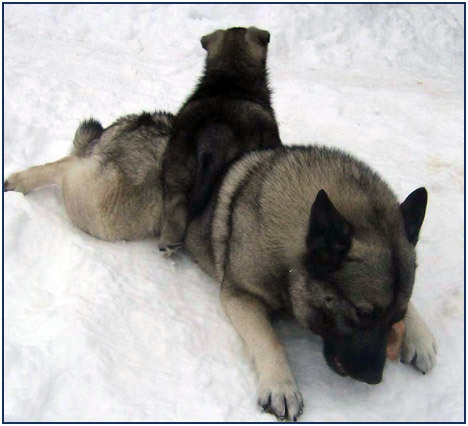 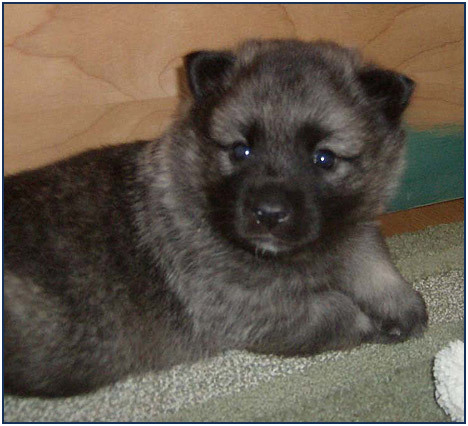 It may be years between litters but we are happy to help you in your search for a beautiful elkhound and can refer you to other reputable breeders, we occasionally have older puppies and adults looking for loving homes. 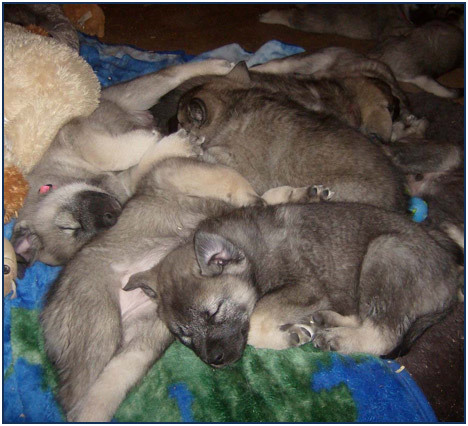 Our girls have their puppies and for the first 5 weeks they are in my bedroom after that we move the puppies downstairs to start interacting with the older dogs. 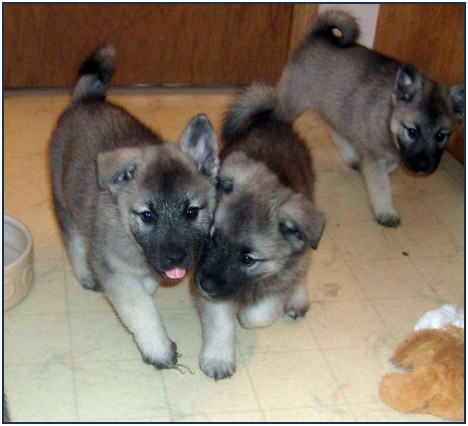 We do not place our puppies till 10 weeks of age as early socialization is very important and elkhound puppies(as all breeds should) need to learn social skills and boundaries from the older dogs, we cannot teach them how to be a dog only their mother and packmates can do this.